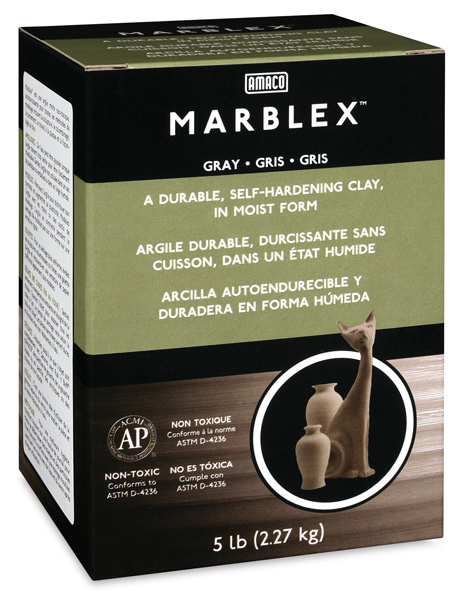 Marblex is a moist, ready-to-use, air-drying gray clay. 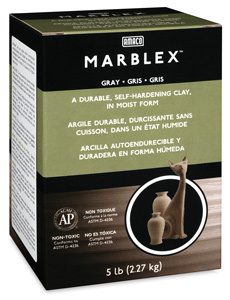 Modeled objects are hard and durable, but not waterproof. Decorate with opaque tempera if desired.